My "room" (worm bin) is where I spend most of my time along with my friends and family. Worm bins come is all shapes and sizes. Worm bins can be made from wood or plastic. You can buy commercially made worm bins, but you will pay anywhere from $50-$100. The easiest or least expensive way to go is to buy a 10 gallon plastic bin. Plastic bins cost about $5-$7 each. Often, you will find them on sale. Worms need about one square foot of surface for each pound of garbage added to the bin each week. 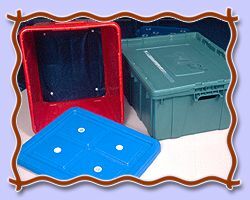 Plastic bins are light and easy to move. They will hold moisture. You will need to drill holes into them to allow air for the worms.